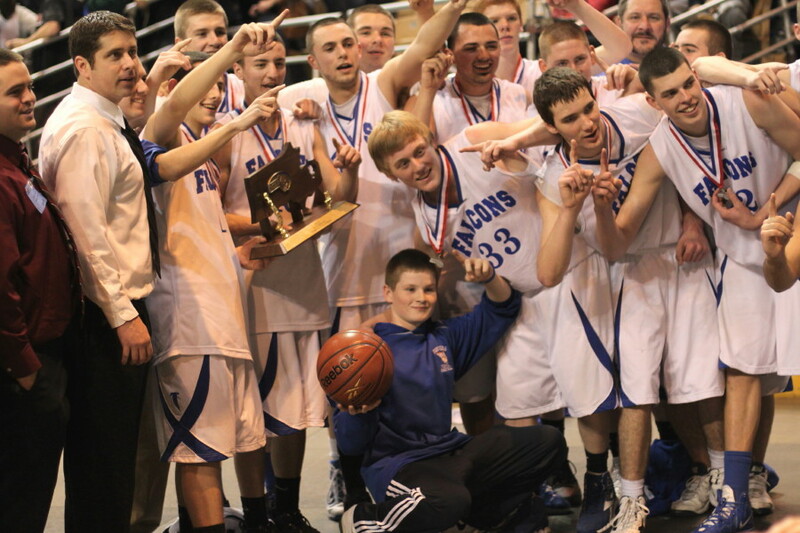 The Falcons (21-4) are Division 3 champs after capturing their first state basketball title in a game played at the Worcester Centrum on Saturday afternoon. Everyone knows that basketball is a team game, so singling anyone out runs the risk of overlooking the contributions of the other four. But this game may be a worthy exception to that school of thought. Nick McKenna (18 points) almost single-handedly took a Danvers’ team that was on the ropes midway through the 3rd period and shot them to a commanding lead by the middle of the 4th period. The Falcon deficit was six (37-31) with 3:32 left in the third. Enter Nick McKenna. 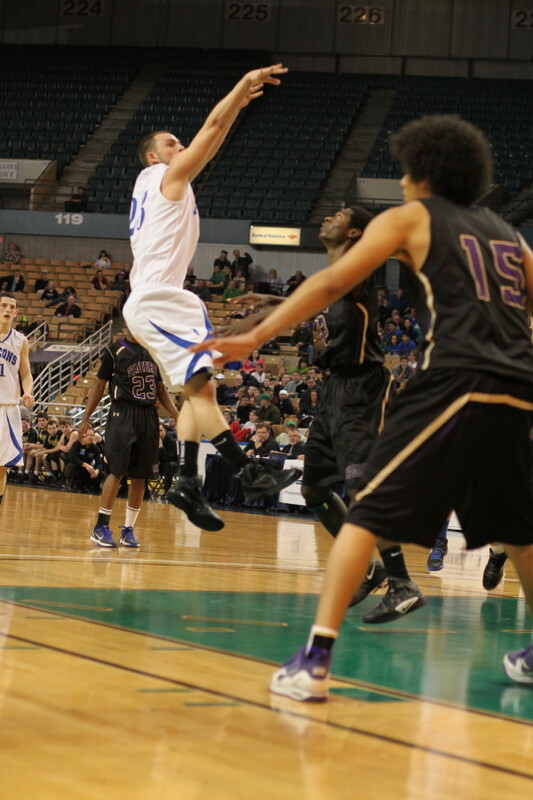 By the time Nick was done scoring for the night, Danvers was in charge (50-41) with four minutes left in the game. 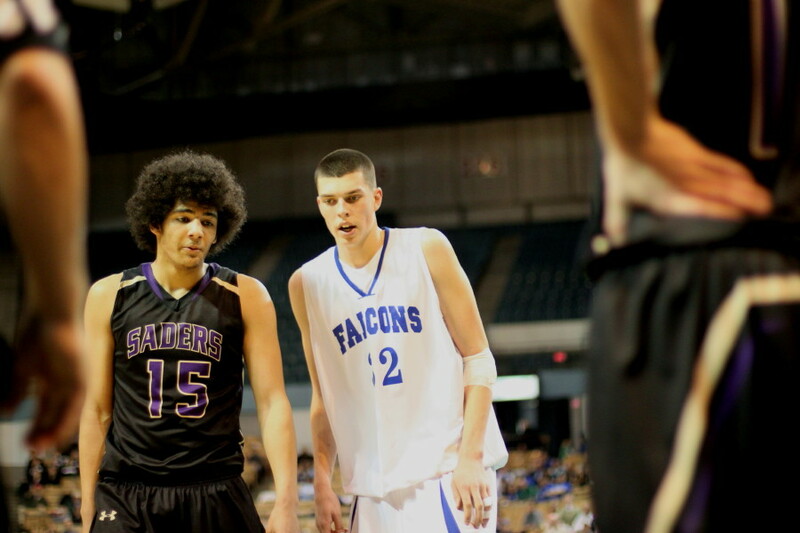 He had fifteen points in the 19-4 Falcon run. There was not a clue that Nick would go off like this. He did have a buzzer beater from near midcourt at the end of the second quarter but was scoreless other than that. 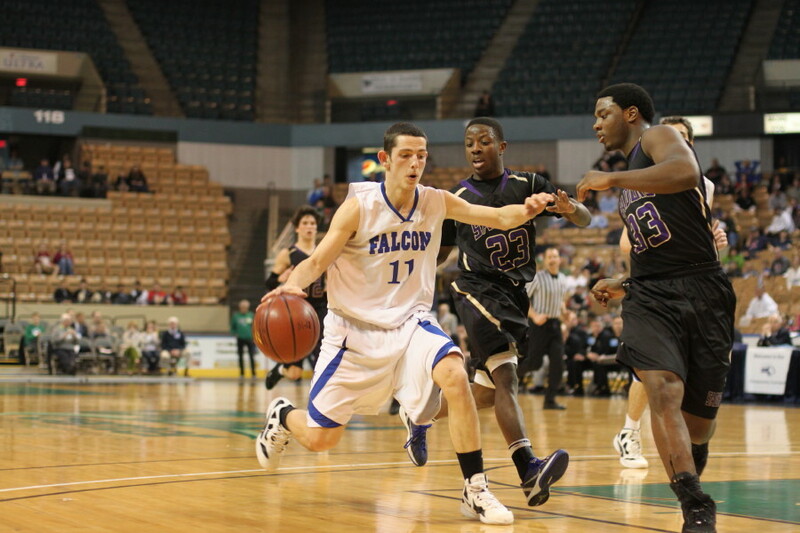 Nick was part of a Danvers streak of nine straight (George Merry had a jumper) that gave the Falcons the lead for good, 40-37, at the start of the final quarter. 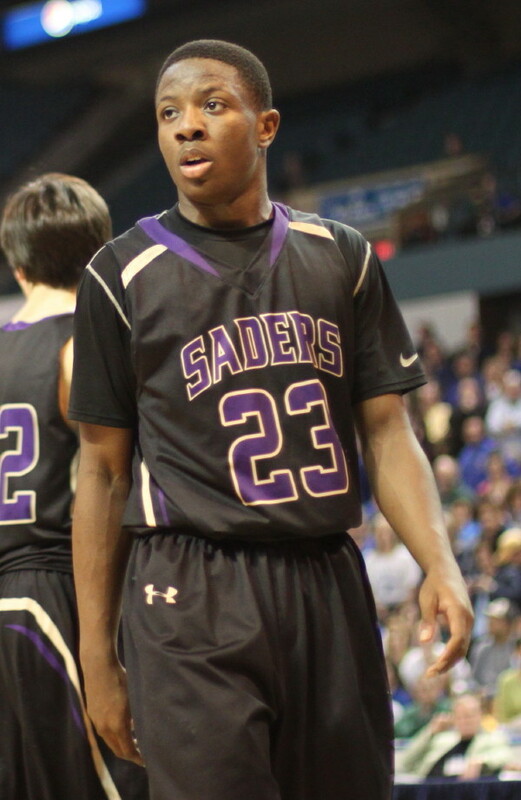 Mike Carpenter (12 points) answered with a runner in the lane for the Crusaders. Nick responded with two jumpers, Tank Roberson with a converted rebound. 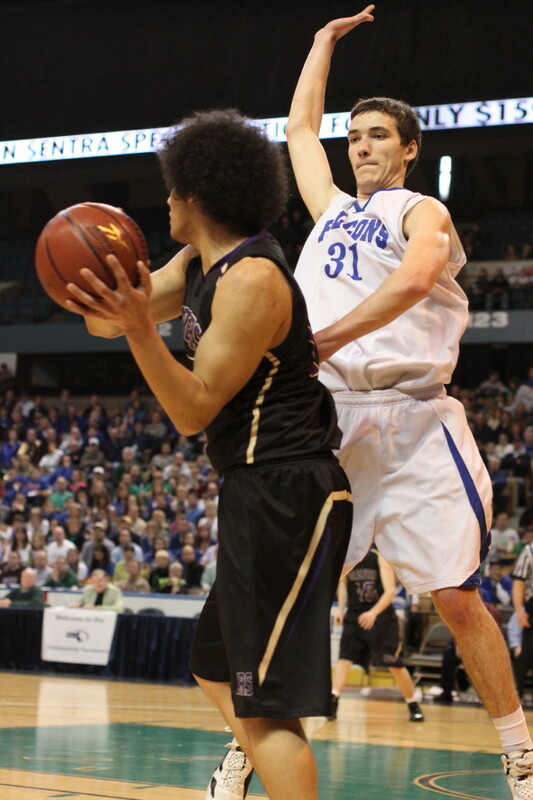 This made it, 44-41, with 5:46 remaining. Still anyone’s game. But there was more Nick. 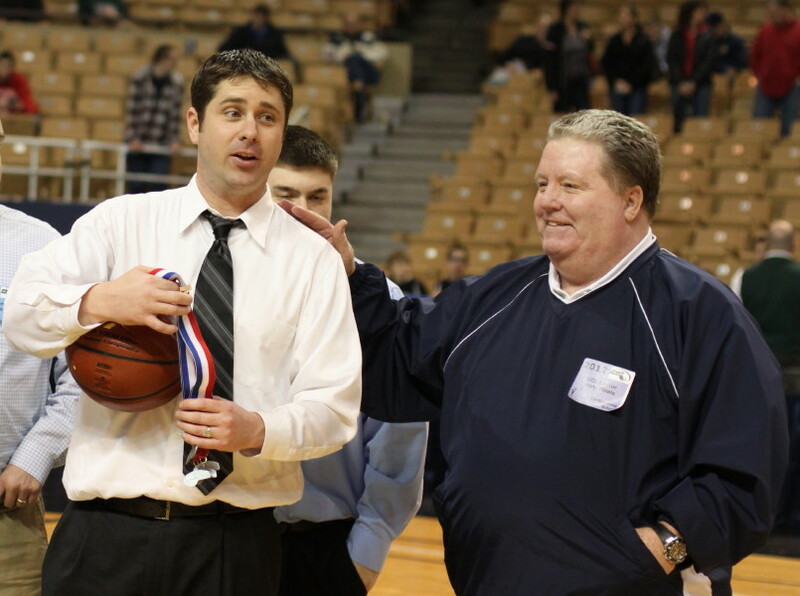 He added two free throws and a layup, sandwiched around two Dan Connors (17 points) free throws. Those points took the lead to 50-41 with four minutes left. Now it was the Crusaders turn to struggle to find offense. And struggle they did. Over the last four minutes St. Joe’s (20-6) only had long ones by Tank Roberson and Mike Carpenter but gained no ground because of seven Falcon free throws and a George Merry (11 points) jam in the last minute. 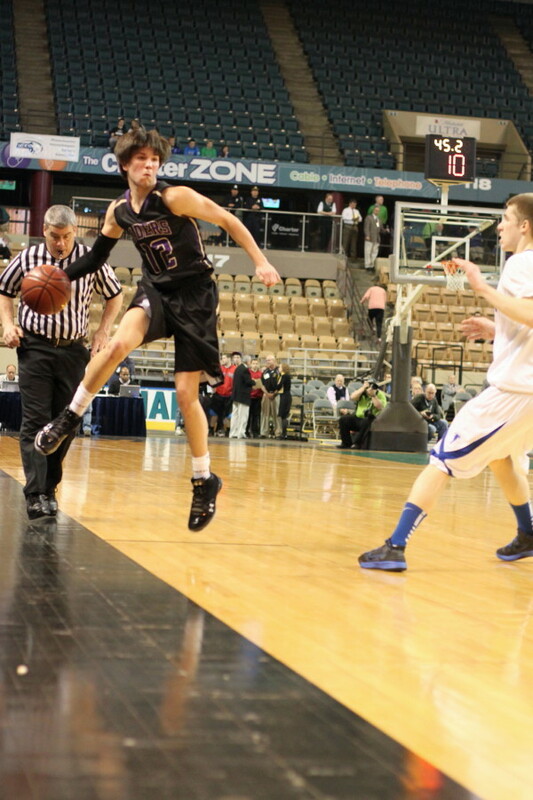 I was very impressed with the defense of the team from Pittsfield. They forced 6-7 George Merry away from the basket and though undersized rebounded well. Danvers jumped off to a 6-0 lead but St. Joe’s rallied back to tie things at 17-17 after a Joe Wiggins layup off a Falcon turnover. Later in the second period the Crusaders ran six straight (Mike McMahon converted rebound, Joe Wiggins layup, and a runner in the lane from Mike Carpenter) to gain a 4-point spread (25-21) before Nick McKenna’s buzzer beater ended the first half scoring. 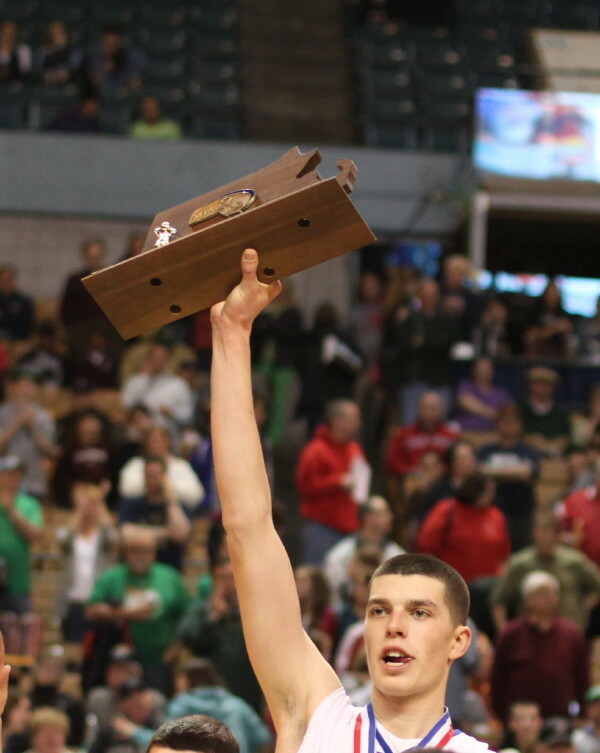 The team from Pittsfield would built their advantage to six (37-31) in the third period before Nick McKenna put on a remarkable offensive show to carry the Falcons to their first basketball title. The Division 3 champs had almost everyone from Danvers on hand cheering them on. Dan Connors had the quietest seventeen points you could get. Nothing long range in the mix. Most of them from just being around the basket in the right place at the right time. Eric Martin (9 points) handled intense man-to-man pressure from Tank Roberson (13 points) the whole game. There were few turnovers. Eric did turn his ankle over late in the game. 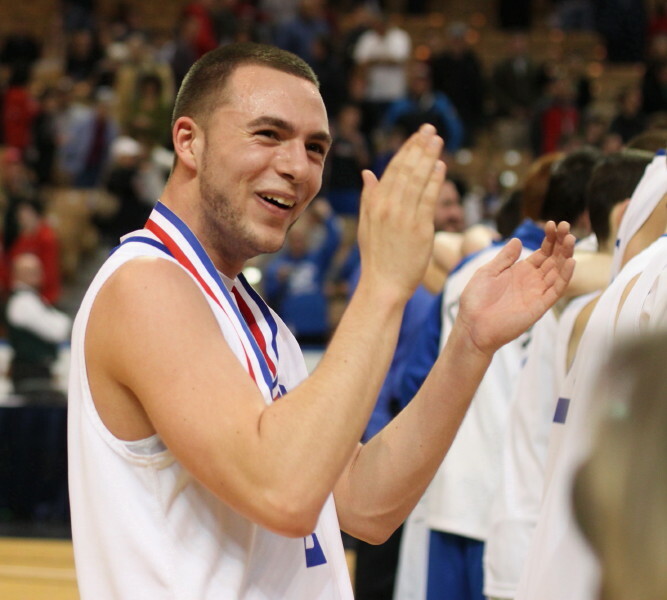 I saw all of Danvers tourney games and winning the D3 championship was certainly a memorable game. 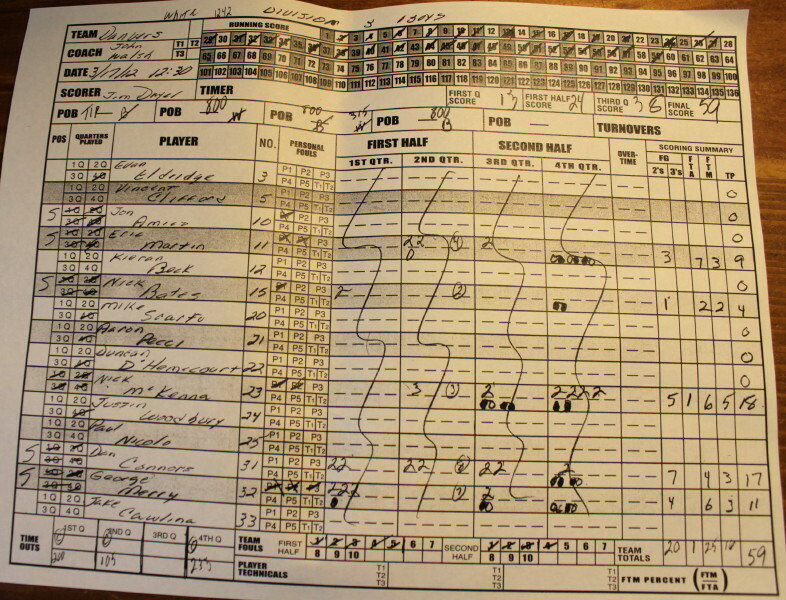 The most memorable one for me, however, was their miraculous comeback against Wayland at Lawrence High School. Can a team overcome a 10-point deficit in 1 ½ minutes? 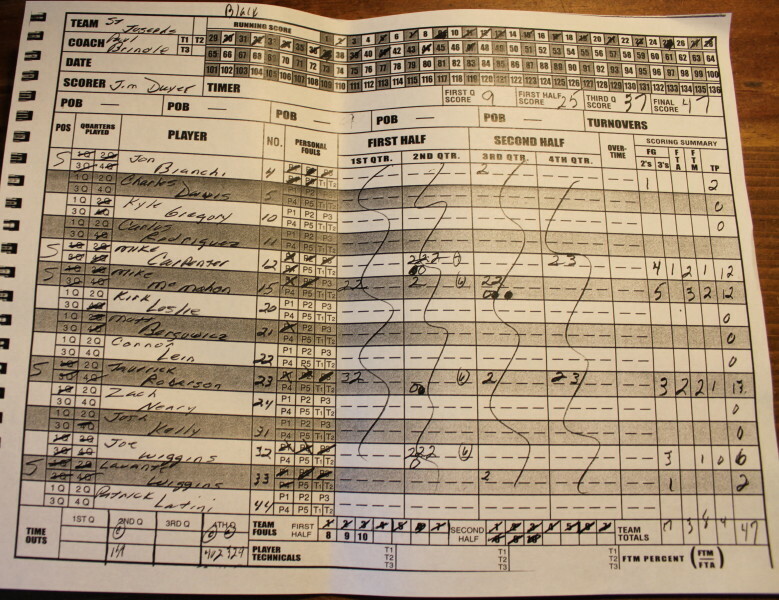 Danvers did against Wayland. St. Joe’s won the state title in 2001.